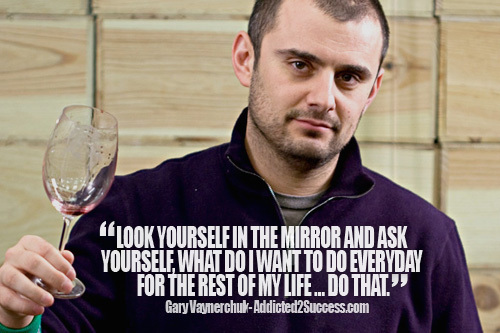 See the gallery for quotes by Gary Vaynerchuk. You can to use those 7 images of quotes as a desktop wallpapers. One of my biggest flaws is I don't take advice. Be reactionary. React to what the market wants. 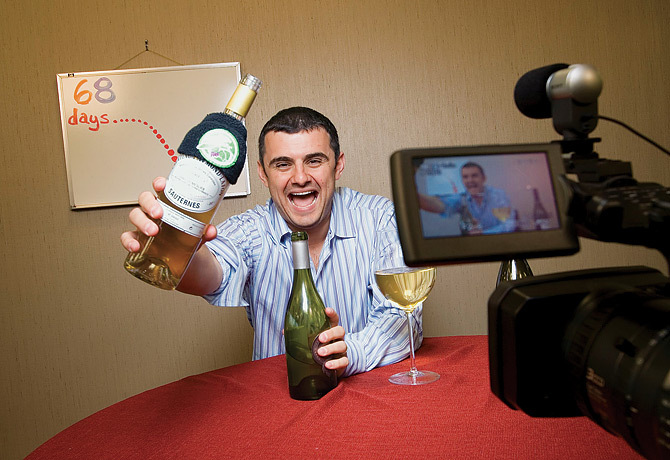 And the market wants one-on-one real time engagement. Now that we have the tools to engage, I'm going to continue fighting for the end user. 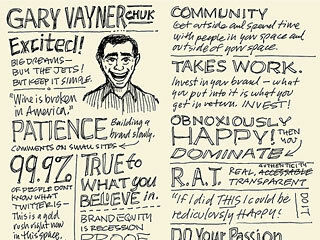 Much more quotes by Gary Vaynerchuk below the page. Bordeaux would be naive not to recognize that Robert Parker was driving the brand equity. If the next generation doesn't care about Chateau Pichon-Lalande, then you have a problem. Do you know how many companies have wanted me to do an energy drink for them because I named my book 'Crush It!'? It might be fun one day, but right now I think it would undermine the personal brand I've built. I definitely think there's some way to understand how people emotionally feel about somebody, but I don't think data collects it. They're not going to click your bit.ly link or click your TweetMeme retweet every time. 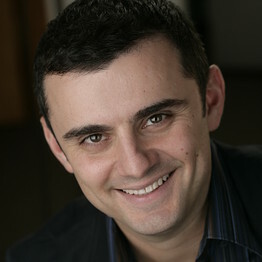 I do not believe that people want to work hard enough and they want to find the quick Twitter, SEO. Anybody who's obsessed with SEO has lost already, period. I believe that firmly. I hate recording all the shows for the week in one day, because I want to be able to mention current events and pop culture. If Madonna punches Britney in the face today, I want to reference that on 'Wine Library TV' tomorrow. Monday's episode is always the best, because it's hot off the press. I really chess-play culture shifts. I'm really good at understanding what worldwide cell-phone use means. That's what I do. I try to picture it three to four to five steps ahead. I would argue heavily that the time that has been allocated to social used to come from television, and people are benefitting from it. People who are saying, 'Aw, you're spending all your time on Facebook, or all your time on Twitter,' I'd like to understand what the person used to do with that time. I'm a storyteller. I love to tell stories about brands. I love to tell stories, period. I like painting pictures through the words, and that's what I do. It's insane to me to ask anybody to be what they're not. Know what you know the best, love the most. 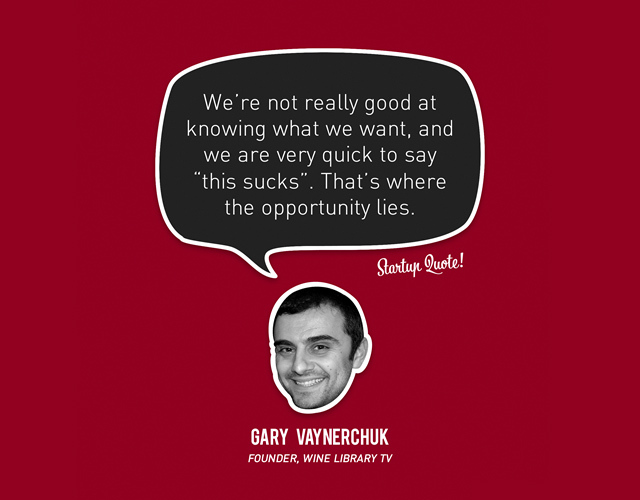 That's always going to be the answer to the thing that you have the best shot at winning at. The thing that I'm most passionate about, I'm writing a book called 'Jab Jab Jab Jab Jab Right Hook,' and it really focuses on how to story-tell in a noisy, ADD world. You cannot underestimate people's ability to spot a soulless, bureaucratic tactic a million miles away. 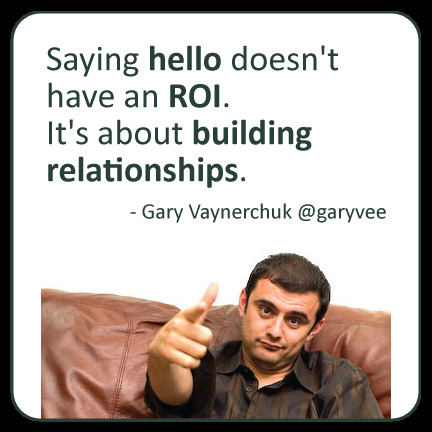 It's a big reason why so many companies that have dipped a toe in social media waters have failed miserably. I don't want anybody to not recognize how appreciative I am of the volume of e-mails I get.